Sonic-style game, but with fall damage and a view radius so small that you can't see where you're going. Who thought this was a good idea...? 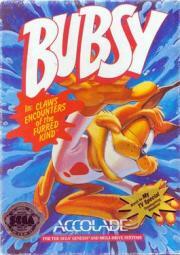 Most of the problem for Bubsy is twofold: simplistic, with a really annoying main character. Just straaiiiggght-up ripping off of everything about the Genesis-era Sonic formula from play control to kineticism to level design to general mood/vibe/visuals. Truly shameless stuff. That said it sucked me in as a kid for longer than I care to admit. It's annoying but not necessarily wholly incompetent... just mostly.